Top 10 Richest Wrestlers In The World In 2018 – This sports may not be as popular as football, but professional wrestling is also closely followed by millions of fans from all over the world. Thus, this industry makes its sportsmen famous and super rich. Checkout top 10 richest wrestlers in the world in 2018! WWE is the most popular wrestling league on the globe. The professional wrestlers who participate in the WWE championships get impressive salaries and super high payments. WWE is a staircase for wealth and fantastic net worth, and it raises its own WWE superstars who are worth being added to our selection. It usually takes some years to become famous and rich, and all the sportsmen mentioned below are hardworking, purposeful and diligent. This ranking is based on the information shared by Forbes and other open sources. 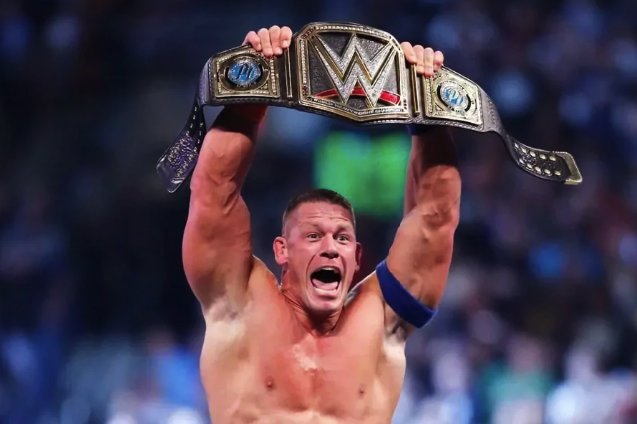 Being one of the top WWE wrestlers, Mr. Cena is also a well-known actor and singer. He likes to host TV shows, rap and he’s popular in Hollywood. According to different sources, the approximate net worth of this famous wrestler is about 55 million U.S. dollars. Paul has become world-famous as Triple H. He fell in love with this sport at the age of five and joined the professional training when he turned 14 years old. Still, his debut appearance at the professional wrestling competitions was in 1992, and he quickly proved how talented and awesome he was. It is believed that Triple H boasts an amazing net worth of approximately 25 million U.S. dollars. Experts assure he earns approximately 1 million U.S. dollars each year in salary plus bonuses. Another famous man from America knows how to earn big money from wrestling. Mr. Brock might not really wrestle as much as other popular WWE superstars, but he is perfect at performing and entertaining WWE fans. He has earned a net worth of over 20 million U.S. dollars. Being one of the top WWE wrestlers, Paul is also an actor. He is a seven times world champion times and won many prestigious awards for his wrestling abilities. Not many professional sportsmen can boast winning WCW, World, WWF/E and ECW championships like Big Show. No wonder his estimated net worth reaches approximately 20 million U.S. dollars. Better known as the Viper, this man has made himself. He enjoyed wrestling for many years and practiced really hard to become one of the top WWE wrestlers. His earnings reaches 3 million U.S. dollars per year, and his net worth is believed to be 15-16 million U.S. dollars as of 2018. Another American wrestler is on our list of the most successful and richest wrestlers in the world 2018. Mark enjoyed sports while staying in high school and university. He played basketball, but later he chose to devote himself to professional wrestling. According to multiple sources, his net worth is about 16 million U.S. dollars. This man is definitely one of WWE superstars. He receives a lot of money for each program and also holds a prestigious title of Superstar of the Year, several awards from WWE World Heavyweight Championship and other interesting titles and prizes. Roman Reigns’ net worth is 4-9 million U.S. dollars, according to different sources. This man is a famous retired WWE wrestler who is also into acting and politics in the USA. Kane’s real name is Glenn Thomas Jacobs. Many fans loved the sportsman’s style and hardworking character. It takes so much hard work to become a real professional and win World Wrestling Champion title three times! No wonder his net worth is believed to be about 9 million U.S. dollars. According to different sources, Dean Ambrose’ net worth is about 6-7 million U.S. dollars. Being a professional sportsman, Seth knows how to earn money with his talent and hardworking character. His annual income can vary depending on the competitions and matches. Still, his estimated net worth is approximately 3-4 million U.S. dollars. These are the richest wrestlers in the world in 2018. They are paid a lot of money for their professional achievements and personal development. The top 10 WWE superstars earn millions of U.S. dollars every year, and all these men deserve their popularity and wealth.